Not just a name change! 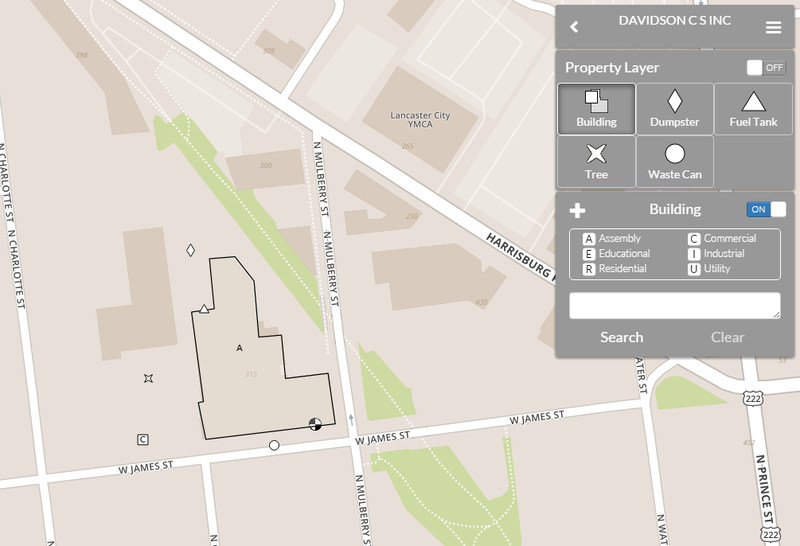 As you might have noticed, we've renamed our 'Building' layer to say 'Property' instead. 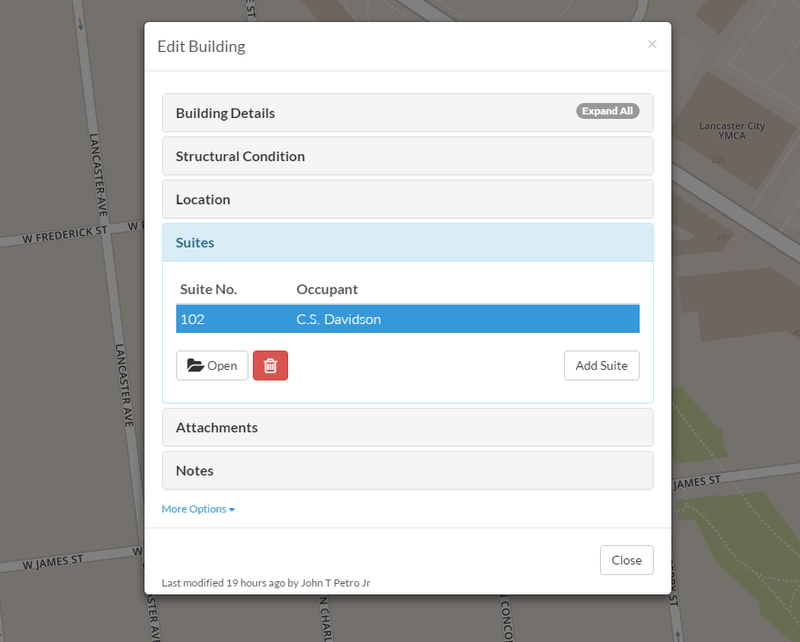 You can still add buildings like before - but you now have the option to draw them as points or polygons. 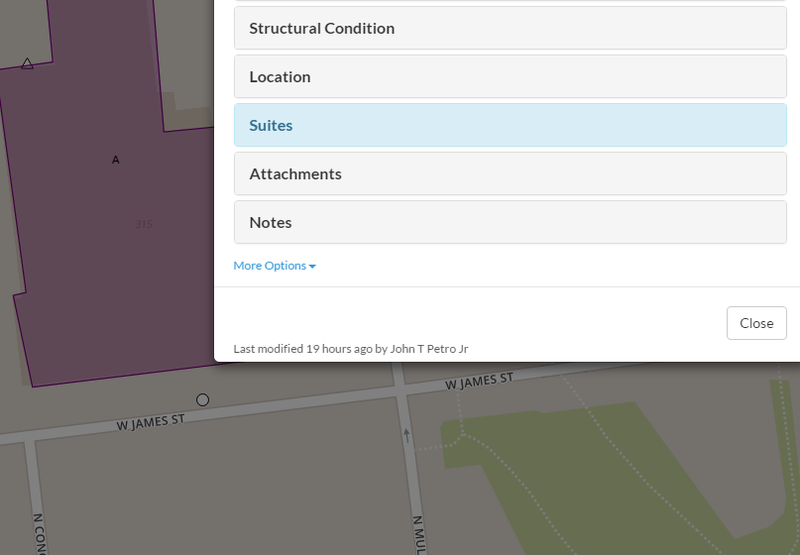 Additionally you can now store information about your suites, classrooms or divisions within your buildings; which will be great way for large property managers to organize their building data. The property layer has also been expanded to include things like trees, dumpsters, fuel tanks and waste cans...and we'll likely be adding more in the future. We took this opportunity to clean up our building icon set; all shown below. 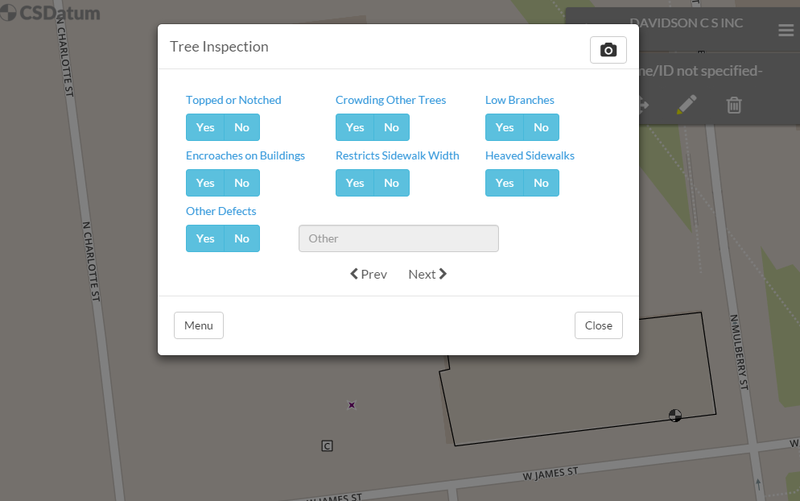 When you get a chance, check out the Tree feature, as it contains a tidy inspection form (and thank you, Amy Evans for the input!) that could assist a Shade Tree Commission and others assess and search their inventory. 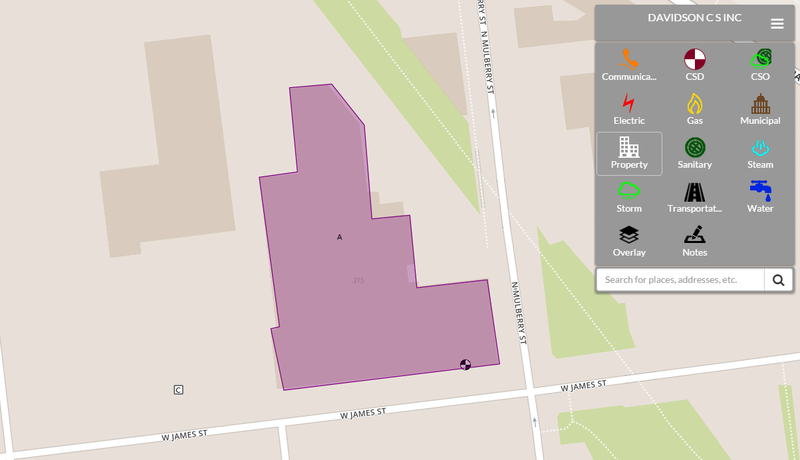 As shown in the first screenshot above - we've created a new communications layer that can track the location of fiber optic, phone or cable lines; whether buried or overhead and even satellite dishes. We also created a downspout asset in the stormwater layer to fully map the flow of a storm sytem. And finally, we've added two simple, yet very helpful functions to the site. 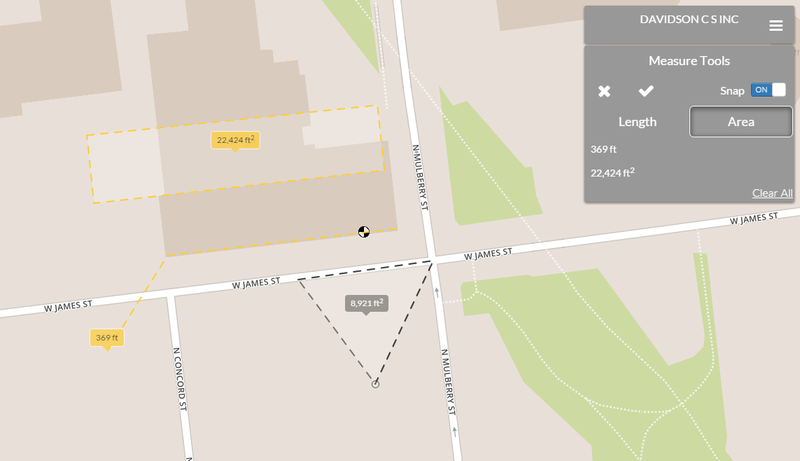 Located in the global map menu (the three stacked bars), you can activate a measurement tool and determine lengths or areas on the map. Ever wonder who moved that inlet location? Wonder no more - as John dropped in a handy snippet of code that displays the date AND person that last edited the point. It appears in the bottom-left corner of every details screen. That's it for now - but as always, we'd love to hear how these new features work for you!